Sorry I've been MIA for a few days. I went to visit my son in Hanover, NH and made the trip home early yesterday after waking to a blanket of white snow and a grueling five hour drive home. It was suppose to be a quick trip to help him move into his new dorm room, a 9" x 9" space vaguely reminiscent of a Lock Down episode. I knew he wasn't very enthusiastic about my bringing up anything to "decorate" the room for him. I think he was afraid I might wallpaper and hang some curtains, so I limited my purchases to a simple jute rug and bed blanket. 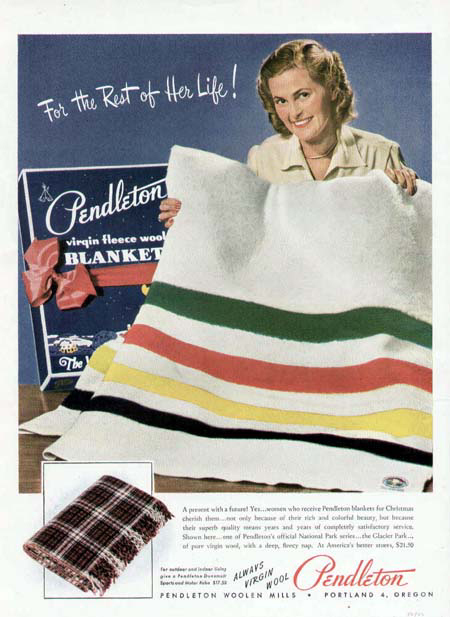 He helped me roll out the carpet, its soft fibers covering the beer stains and chewing gum on the industrial wall to wall, but it was the beautiful Pendleton blanket that actually got him to say an appreciative "nice." I had fretted over the design and color of the blanket longer than my last shoe purchase. Since it was the only color and print in the room the blanket had to be near perfect. 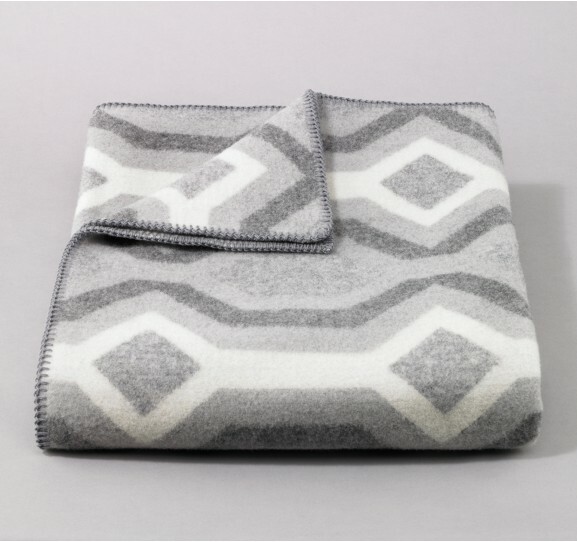 My choice- a traditional snow white blanket with thick bands of bold stripes called Glacier National Park which was first made in the early 1900's and is considered a classic today. 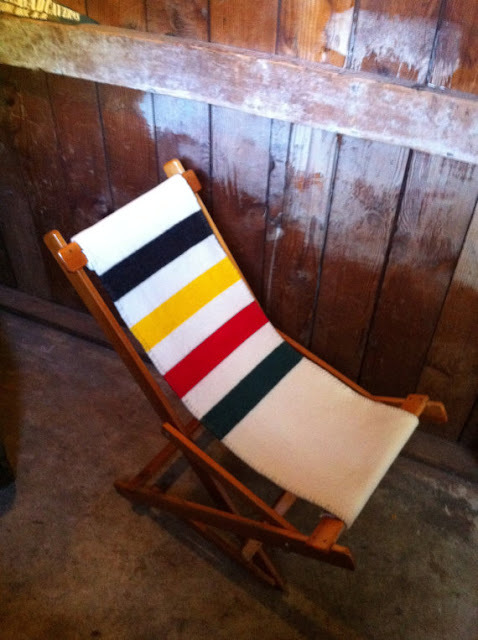 The blankets vibrant stripes and colorful mix are both masculine and beautiful, a timeless classic perfect for my sons new home away from home. 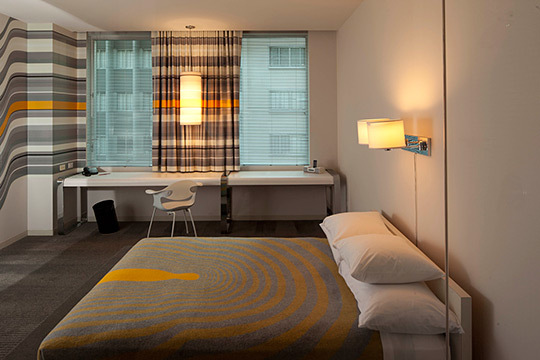 The Standard Hotel's "Artist" Pendleton's have a groovy vibe. 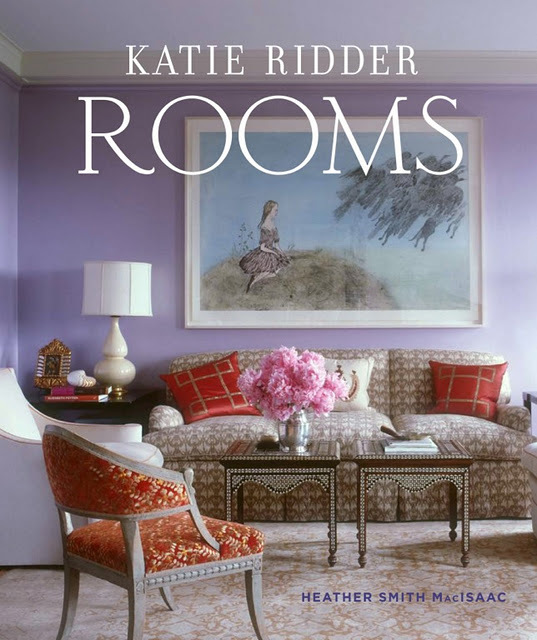 And the winner of the Katie Ridder book is Allumer* Decor-congratulations! Barbara...I found myself laughing because I remember when we moved both of our older sons into their dorms...it was so tempting to "decorate" as we know how, but you could tell their icy stares and body langauge in front of their new dorm mates, said "don't even think about it" BUT they did let me give them each a dreamy down comforter and didn't turn it down and on more than one occasions mustered a "thank you"...so they really do appreciate those gestures as much as they hate to admit it..lol. The Pendleton blanket is a great and handsome choice for your son and I bet he will be the envy of all of his friends.....glad you made it back safe and sound! Any-who... 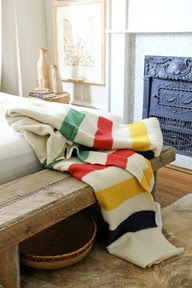 I am a huge fan of the Hudson Bay Blankets (same, right?) They remind me of quiet times in the mountains, relaxing in the fresh air. A perfect choice for a 'man' with a hectic day and a need for somewhere to 'snuggle in' and unwind... oh, don't tell him I said that! Enjoy the snow - inside from the fireside! 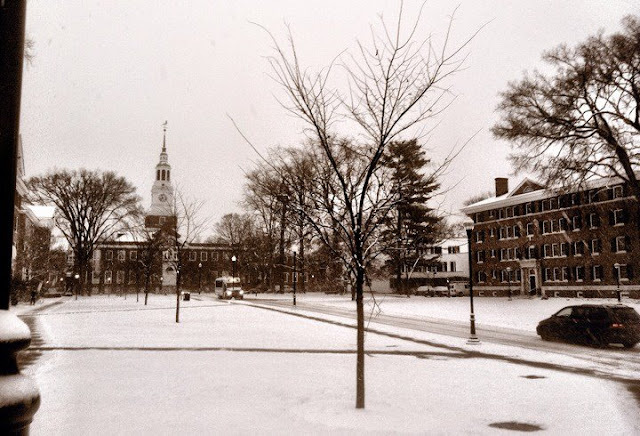 Hanover in the snow. How lovely, but no, the drive home doesn't sounds so pretty. I think you made a fantastic choice with the blanket. I'm sure he'll appreciate having it for the cold winter still ahead. Hey Girls, me again. 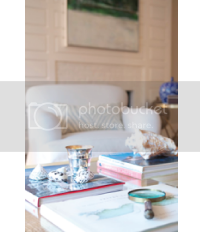 Just wanted to add this - check it out! Wow! 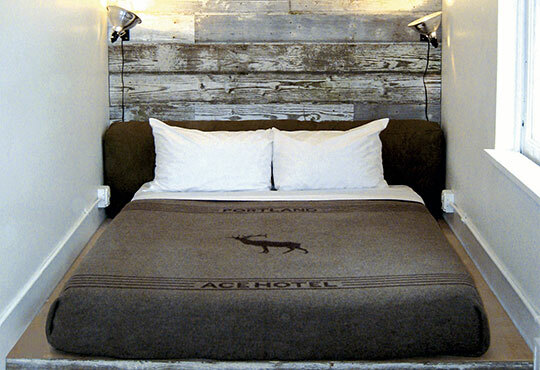 Love the wool blankets. Reminds me of the blankets we had growing up. I know that your son was thankful. No easy leaving them for the first time. Love these images, and I especially love the new gray! We never stop looking out for our kiddos, do we? 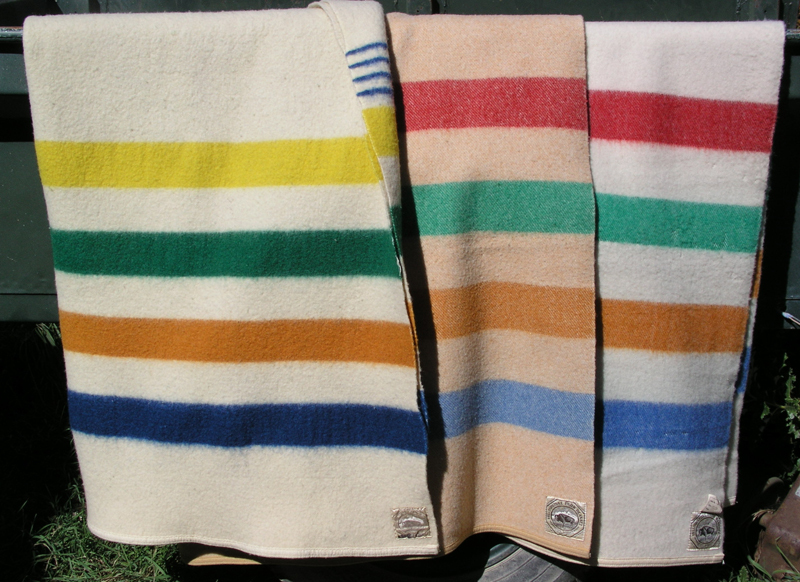 These are terrific blankets. Glad you made it home safe and sound. Oh Barbara, I love the Pendleton blanket and know that he loved it, too. It would be terribly unmanly to act too excited...having to remember these lessons for down the road now with my grandson. Glad you are back from your traveling, and enjoy your weekend!! My boys were always ok with bedding but yes, that was about it. Love your choice. I was always a Hudson Bay Point girl - we each had our own colorway growing up with coordinating toile sheets - my mother was ahead of her time!! Great picks. Thanks for sharing my friend! My Freshman son was not up for any decorating :( At least his room at home looks good. 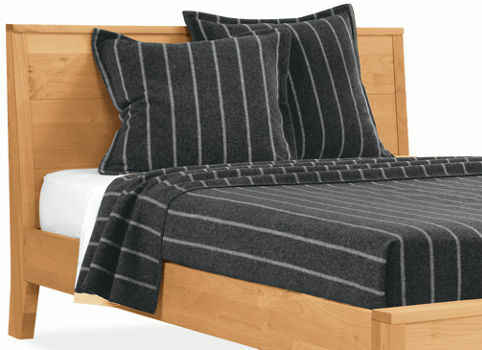 What a classic blanket for your son. 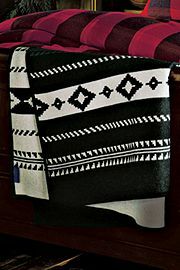 Love those blankets, still have one from college. That's really sweet that you went up to visit, nice and chilly I'll bet! Oh my Gosh! Thank you so much. I absolutely love her work. Thank you for choosing me! !